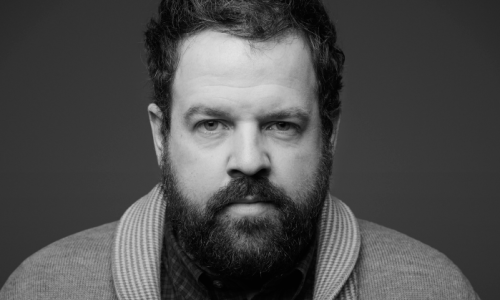 Donovan Woods’ songbook is full of carefully-crafted country and folk-tinged songs of his own as well as hits co-written for some of the biggest names in country music. His fourth album, Hard Settle, Ain’t Troubled is his most confident, anticipated and acclaimed record to date. First moved as an 8-year-old at an Emmylou Harris set at Mariposa, it wasn’t long before Bob Dylan and Paul Simon became major influences. His dream of one day performing a solo headlining set at Massey Hall is rooted in his awe of Dylan’s solo Royal Albert Hall performances, and is surely not far off. His 2015 Harbourfront Centre Theatre show won over the capacity crowd, and he’ll open for Matt Andersen at Massey Hall on March 5 (see p 15) – and at 26 other cross-country stops. Though conversant in everything from chamber music to indie-folk, he says he listens to new-country radio “like all the time,” explaining that it’s important to know who is being played. “I also listen for my songs,” he adds with a smirk. But what he modestly fails to mention is that they are often in heavy rotation, performed by the likes of Tim McGraw, Billy Currington, Charles Kelley (Lady Antebellum) and Alan Doyle. As a songwriter, Woods values the “satisfying finality in getting an idea that’s been bothering you pinned down in a song. It gives you the opportunity to move along. It’s a real gift.” He sympathizes with those who lack this outlet to deal with the wrangling that is inherent to the human condition, and that defines his music. “The message is the contradictions. Sad songs are happy, happy songs are sad. Everything is both, and never as sad or happy as you’d like them to be. My goal is not to be gritty like real life, but to be life, to communicate the actual wrangling that makes up life.” And that he accomplishes with a combination of self-deprecation, humour and confidence that define both his music and live-show banter, creating a one-of-a-kind performance experience. What was the first concert you attended? Mariposa Folk Festival – I’d been going ever since I was really little. I had a really concerty dad so I saw a lot of shows. What’s the first concert that made a deep impression on you? Emmylou Harris, when I saw her for the first time I was like 8. First album that you bought? Pearl Jam Ten — that’s the first record I knew about and was sure I was going to go get. Followed closely by the Red Hot Chili Peppers’ What Hits!? What is your Massey Hall Moment? I saw Hawksley Workman play this show, and maybe it’s bad to say, but the PA went out, and he stepped up out front for two songs while they fixed it, and then went back after they got it fixed, and I thought it was just amazing. I recently got to play with him and I told him about that – he was devastated and embarrassed that that was my memory of that show. I also saw Paul Simon at Massey Hall and that was amazing. What music were you listening to on the way to the shoot? I have to admit that I listen to new-country radio like all the time. I ought to know who’s out there being played. Also, I listen for my songs. What will you listen to on your way from the shoot? Again: new country radio. Tell us about a memorably amazing onstage experience you’ve had. I played solo at the Burton Cummings Theatre (in Winnipeg) a little while back and doing that sized theatre (1600 seats) alone is my dream. It goes back to hearing Bob Dylan doing Royal Albert Hall solo. It was such a thrill to do, and it went really well. Tell us about a memorably ridiculous onstage experience you’ve had. One gig early on, I told a guy heckling me – a guy who was really drunk and who’d been performing earlier in the night – to shut up, and he came up onto the stage to fight me. I defused the situation by offering to let him beat me up later, and by the time I was done he’d left. What’s your dream gig? Playing Massey Hall solo. What do you hope people take away from your music? I want the message to be the contradictions: Sad songs are happy, happy songs are sad; things that are funny are sad, and sad things are funny. Everything is both. My goal is not to be gritty like real life, but to be life. Things are never as sad or happy as you’d like them to be or think that they are. It’s about the friction in the idea that everything is both. I’m trying to communicate the actual wrangling that makes up life. What’s the best thing about doing what you do? There’s a satisfying finality in getting an idea that’s been bothering you pinned down in a song. It gives you a watershed to move along from it – the opportunity to move along. I’m not sure what other people do to move along from emotional wrangling, but it’s a real gift to be able to do that – and to have people that can help me make a song, record it, and move on. Conor Oberst (Bright Eyes) says that it’s like the process of pinning butterflies in an album: You catch them, get them onto the page, and then you move on. What’s the hardest thing about doing what you do? It’s difficult to deal with the reaction that a lot of people have when they hear you’re a musician. There’s always kind of a rolling of the eyes or a nod. When people – and I know they mean well – say ‘it’s so great that you’re still pursuing your dreams, it’s inspiring,’ you think, ‘at what point does this become actual life?’ Because it is my life. What do people most frequently misunderstand or under-appreciate about what you do? It’s funny to me when people say ‘It was the most random thing: I heard you on the radio!’ It’s not random: you’ve been trying to make it happen for years! There’s a team that’s been devoted to exactly that: to getting the song on the radio. I think the misunderstanding is about how there isn’t a lot of work that goes into it. It seems serendipitous, but we know the scope of it: That it’s a product of months, of years, of work. The theme of this issue is renewal. How do you keep things fresh? What are the challenges of that? For me, it’s not a problem, because everything for me is new every day: I don’t do anything the same, I’m always doing new things. That’s one of my favourite things about the job: It’s different all the time, and it’s always going to be different. What’s ahead for you this year? My record comes out in late February; I’ve got the Massey Hall show with Matt Andersen and a massive cross-country tour with him. What are you most looking forward to in 2016? Starting on making a new record. There’s an excitement of gathering songs together, figuring out which ones get on the record, what they’re called. It’s always so much fun starting out that process.